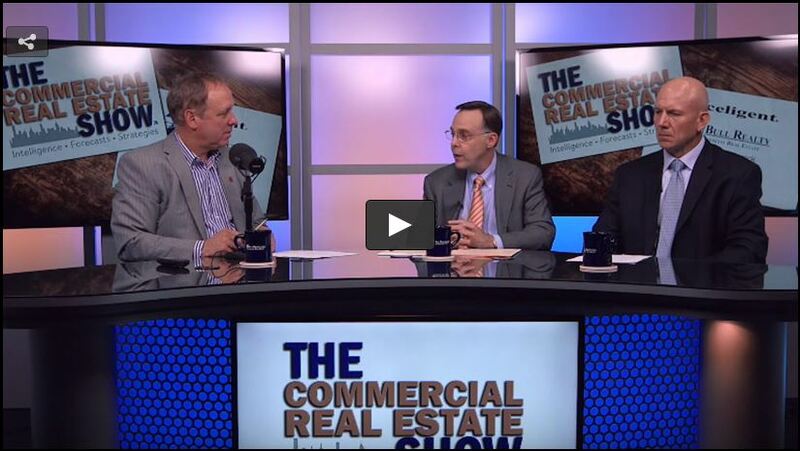 Larry Callahan, CEO, and Peter Anderson, VP, both with Pattillo Industrial Real Estate joined me in Studio One to discuss how the industrial market performed in 2015 and what’s driving the sector today. Pattillo has been an industrial developer since 1950, having developed millions of square feet of industrial buildings and master-planned industrial parks. They also own thousands of acres of industrial land. “2015 was a very good year. 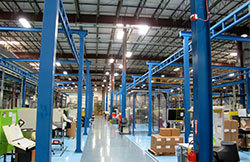 A lot of things went well for us and for most people that are in the industrial business,” said Callahan. The environment was certainly right for a good year with a combination of low interest rates, strong demand, low vacancy and the return of rental rate increases to the sector. To give you an idea of how far rental rates have come, in early 2009 if you were up for renewal, you probably would have seen a 25% drop in the rates, said Callahan. High rental rates aren’t the only good thing going. In addition, a lot of property continues to be absorbed, which sets the stage for new construction. Callahan likens the industrial sector today to a tree: “Trees, if they grow fast, tend to be a little bit brittle, but trees, if they grow slowly, tend to be stronger wood and this recovery has been a slow climb and it's got good solid foundations on it.” He goes on to say that the steady growth in the sector has been legitimately driven by increases in population and demand for products—not by “excess speculation”, or “unreasonable exuberance on the part of tenants”. Specifically, there has been an increased demand from large users which has been “one of the biggest things to happen in the entire market over the last 10 years.” This demand can be attributed almost exclusively to ecommerce, which is a major trend. However, it's more evident in some markets than others since the online major distribution buildings for e-commerce are not located in every city in the country. There are certain large key industrial markets that are seeing ecommerce as a major driver of activity such as Chicago, the inland Empire, Los Angeles, Dallas and Atlanta. But other markets are being impacted that you may not realize. For instance, in Tennessee, both Memphis and Louisville are benefitting greatly from e-commerce. (Memphis is home to FedEx and UPS does their national distribution in Louisville). The market has historically been very heavily skewed toward very large buildings. In fact, there was a long period of time where most of what was being built was 800,000 SF and above. But everyone doesn’t need that kind of space and Callahan believes we have now reached the part of the market where more “normal” size buildings for the “broader array” of the industrial market are starting to be in demand. He defines normal as buildings in the 200,000 square-foot range (Pattillo is currently building in this range and up to 450,000 SF). When asked what types of industries and users are more active now, Peter Anderson said those involved in construction and housing, pointing out that in the state of Florida, the industrial market is driven by residential construction and growth. As that growth has begun in Florida and throughout the Southeast, companies that support the residential industry are coming back into the market and occupying warehouses. “I will say that they are acting a little bit more cautiously,” said Anderson. 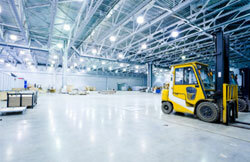 Another trend among industrial tenants is the use of inventory management technology. 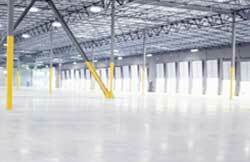 These systems allow companies to manage a large number of products by SKUs (stock keeping units) increasing the size of that building, both from a footprint and from a clear height perspective. A tenant’s cubic usage of the space is greater today. 30 years ago, 24’ clear was the standard height and today we’re starting to see more 36’ and 44’ clear areas (although 44’ is usually reserved for buildings over 400,000 SF). 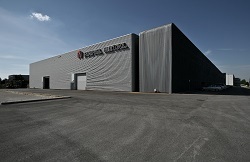 Anderson says this technology has played a role in the market concentration on large distribution centers first, but if the economy continues to expand, we will see a second wave of distribution center network establishments into some of the smaller communities and a little bit smaller footprint buildings.